Mark my words, these birds will be out of my house when I leave for Snap! 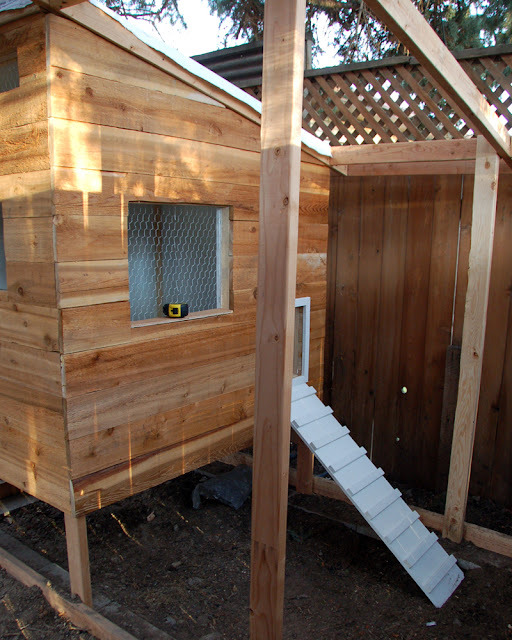 later this week, even if my kids have to eat PB&J's for every single meal until then because I'm outside working on the coop. The birds are big and feathery, kicking up dust in my basement and frankly they're starting to smell a little. I they need fresh air and space and bugs. When I get stressed out I tend to get sick, and this coop has been weighing heavily on my mind and consuming most of our weekends for a while -- so color me stressed out. 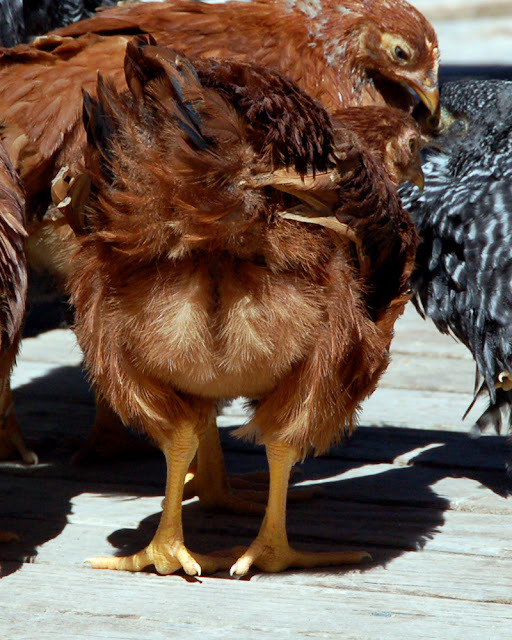 Between the giant chickens needing a home, several recent musical commitments that I'm wading through and some other craziness in my personal life, I wasn't surprised when this weekend I woke up with a cold. I've spent the last couple of days on autopilot, screwing on cedar siding while I daydreamed about naps. This weekend we finished putting the siding over the insulation, we hung the large door into the coop, we built and installed the ramp into the run, built the track for their little coop door and finished building the nesting boxes.You can see that in my determination to get this coop done quickly, I nixed painting it - sadness, I know. Maybe I'll go back and make it a fun color later this year, but for now I just need it to be done. 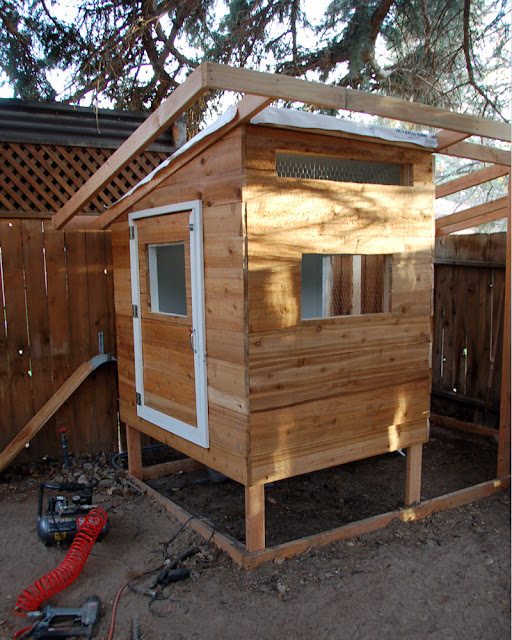 The cedar matches my kids' clubhouse though, and I am liking how it camouflages the coop when you're standing on the back deck... so who knows, maybe I won't paint it! I can totally do it, right? You can do it! I hope you feel better soon! 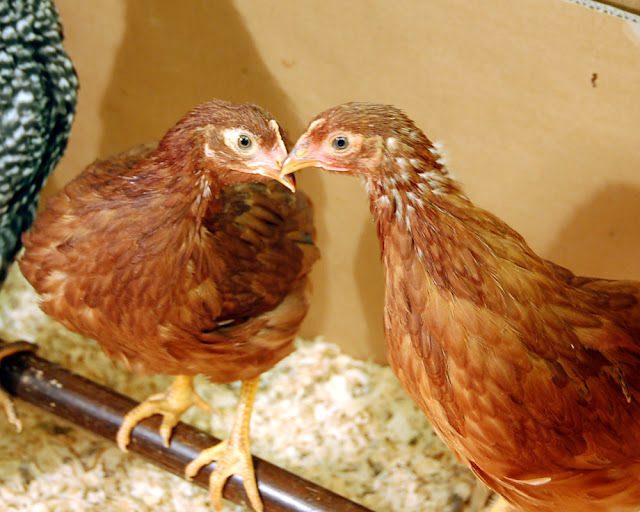 Just want you to know that I'm getting chickens now and I have you to blame, I mean,thank for it :) Seriously though, I've enjoyed reading about your little gals! Walk in the park for you! Hope you feel better soon.